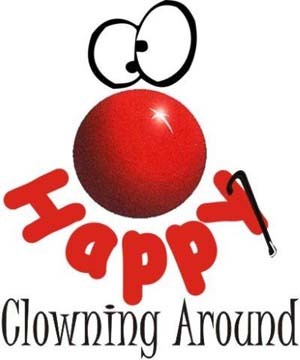 Big Stick Productions has partnered with Happy, A Caring Clown on Facebook to present creative art projects, coming soon with ‘Happy’ motivational courses & speakers, how to plan an event/ fundraiser, marketing strategies and inspirational feature stories (it could be you). Big Stick Productions is so proud to announce the largest collection of FREE, clown-style fun, idea resource. A year in the making, this one of a kind in the world resource is to encourage people to volunteer in Hospitals and Care Facilities. All ideas have everything you need. FREE. Bring a smile to someone suffering with disease or hardship. Share a moment to be with someone who was once productive and vibrant but now robbed of those values by age or disease. Give a Happy Moment – join Mission: Happy. Give to those who need your time now. These resources were created to make it easy to get involved. Not just for caring clowns. Corporate give away ideas, school crafts, silly gag gifts for the office gift swap are other ideas to use these creative and fun ideas. Loosen your tie and get your giggle on! Put a smile on someone’s life. It goes a long way. Happy is on a mission to spread “Happy”-ness. Happy Truths: We are our own best placebo. To realise our health is directly related to how happy or how unhappy we are. So choose Happy. To help people see the wonderful things around us to brighten our day. So open their eyes. To inspire the world to help the sick, the lonely or a friend having a hard day. So open your heart. To encourage others to help put some colour, other than drab, in to the lives of people with disease and disabilities. So open your paint cans! If we all start by just getting someone to smile, when they don’t want to, have the desire to or don’t have the strength to, we can help improve the health in the world! And (keep this to yourself) you can improve YOUR health. Invincible is a television show about Daniel Ennett, a quadruple amputee, and all the adventures he goes on. All giveaways and items we use, can be costly. ANY donation would truly be appreciated. You would help hundreds of people needing a smile.